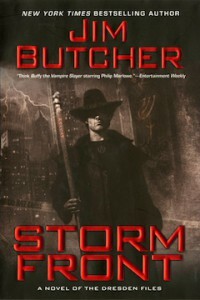 Storm Front is the first book in a currently on-going series, Dresden Files by Jim Butcher. There are currently 13 books out in the series with another one on the way. Harry Dresden is a wizard (it is a fantasy book, remember) who lives and works in Chicago as a private investigator. He is a serious practitioner and not someone who would do magic tricks at a party. He also helps the Chicago Police Department’s Special Investigation unit (led by Karrin Murphy) to solve crimes which cannot be easily explained and seem other-worldly. Magic is an integral part of the world created by Butcher which also includes creatures such as vampires, demons, spirits, faeries, werewolves, and other mythical monsters. Most people are largely sceptical of Harry’s abilities and believe him to be a charlatan out to make a quick buck. Harry comes across as very human with everyday problems like getting enough work to pay his bills and doing something about is non-existent love life. The magic in this book does not involve any extreme unbelievable stunts, and can easily be accepted as part of a fantasy creation. 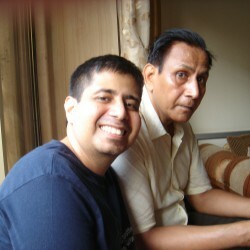 I found the magic to be logically explained, and the idea that it uses energy and hence has limitations really appealed to me. This meant that Harry was not capable of performing superhuman tasks without any thought and each time magic was used, it took a toll on him, leaving him a little weakened. Harry’s character is pretty negative and has a tendency to assume the worst. He is quite careful and does not like to be blindsided if he can help it. He tends to take on more than he can handle at times (especially if a woman asks him). This leaves him working overtime and generally tired. His ethics make him always do the right thing and he refuses to lose, give up and let the bad guy win. He is not someone who likes to take to orders and cannot be easily intimidated. The story of Storm Front had a lot of twist and turns and kept me guessing what would happen next. It is not all serious business and there are a few light moments sprinkled across the pages. It involves two separate investigations about a missing person and a couple of gruesome murders. The way in which everything comes together in the end to solve both, the crime Harry is investigating and his personal problems in just beautiful. I have come across the series pretty late and have a lot of catching up to do. Just hoping the other stories in the series are just as good.